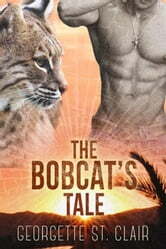 Curvy bobcat shifter Lainey Robinson is through with men—so she’s fleeing to the most out of the way bed and breakfast she can find, in tiny Blue Moon Junction, Florida. She shows up expecting privacy, peace and quiet. What she gets is total chaos—she’s landed right in the middle of the local Alpha’s wedding week. Worse, some crazy love psychic is insisting that Lainey crash the wedding because her fated mate will be there, tensions are running high between the Blue Moon Pack and a rival pack, and a gorgeous wolf shifter is either suspiciously interested in Lainey, or just suspicious of her.